When it comes time for a new printer installation, it’s important to choose a model that is built with the highest security standards in mind. Not only will these keep the need for printer maintenance to a minimum, but it will also ensure that your information is being guarded. For those who live in Jessup, MD, the go-to printer service, Laser Line, recommends HP™ printers for this very purpose, specifically the A3 MFPs. The concept of a self-healing device is confusing at first, but the idea behind the technology is simple. 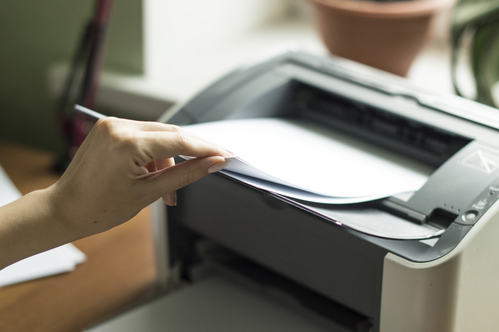 When your printer is attacked, it is likely to shut down to shake off any threats. While this is usually effective, it can erase important data and leaves users at a loss. HP printers, however, are designed to simply reboot instead, automatically assessing and remediating previously administered security settings. This means that when your printer is threatened, it can take care of the problem on its own. Security is the name of the game when working with printers, which is why HP has implemented the “golden copy” concept. This means that if your personal operating code is compromised, the device restarts the entire system with a “golden copy”, which is a brand new, totally safe code that only you have access to. Plus, while the software is starting up, the printer will check the code that you enter each time to ensure that it is actually you using the device. Technology changes quickly, which means that threats can be adapted with just as much speed. Luckily, HP printers are set up to monitor constantly for threats to security, and it even inspects the outgoing network to get ahead of potentially dangerous malware. Are you in the market for a new printer in Jessup, MD? If so, it’s time to pay a visit to the team at Laser Line. This small, family-owned business is committed to ensuring that each avid tech user is furnished with the safest and most secure devices available on the market today. As a P's Premier Platinum Solutions Partner, they are fully equipped to set you up with the printer services you’re looking for. For more information, visit them online or give them a call at (410) 636-1700.